This being the SVGCC Heritage Clubâs first event of this nature, the proceeds will be donated to kidney patient Rodney King, a student of the SVGCC, who is in dire need of a transplant. 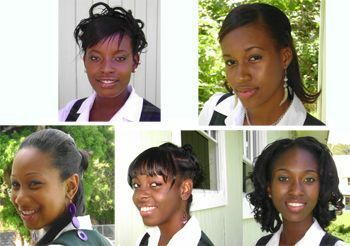 The contestants are AshÃ©e Dalrymple, Austinsha Solomon, Ronika Medford, Shanice Thompson and Shavsha Speedwell. They will compete in the following categories: Ambassadorial Speech – 3 minute speech on a nation builder of contestantâs choice, Talent, Cultural Wear – a dress depicting something of historical significance, and Interview – questions on current affairs and autobiography. She further thanked all those who have sponsored the show, and urged patrons to attend the event because the money that is raised will go towards a worthy cause. Sixteen-year-old Rodney King suffers from Chronic Kidney Failure and is set to receive a kidney from his father, construction worker Eric James. However, the operation will cost approximately $150,000. An appeal was launched in January 2009 for members of the public to come forward and assist financially.